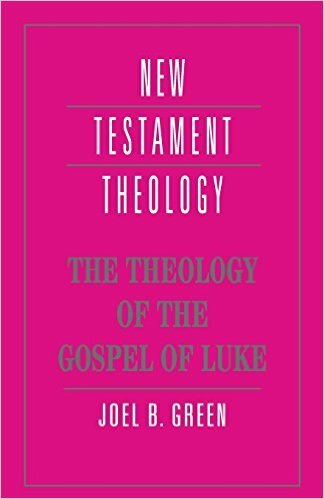 Joel B. Green’s book, The Theology of the Gospel of Luke, is a concise and insightful exploration of the major contours of Luke’s theology, beginning with an exploration of the Gospel’s social context, moving on to a discussion of Jesus’ identity and mission, and ending with a pair of chapters looking at discipleship and the role that Luke’s Gospel has played (and continues to play) in the life of the Church. Luke’s narrative frames the words and actions of Jesus within the rich and ongoing story of God’s redemptive purposes in creation, giving salvation important meanings at both the individual and community level. Green writes that “Luke situates human salvation, even when understood in personal terms, within larger social conventions and institutions—a strategy foreign to many of us” (p.135). Indeed, such a community-centered vision of salvation’s scope can seem odd thanks to the individualistic emphasis of many in the Western world. What does it mean to hold together the assertion that salvation has important personal and social implications in Luke? This is the kind of question that Green wants to explore. And Mary said, “My soul magnifies the Lord, and my spirit rejoices in God my Savior, for he has looked with favor on the lowliness of his servant. Surely, from now on all generations will call me blessed; for the Mighty One has done great things for me, and holy is his name. His mercy is for those who fear him from generation to generation. He has shown strength with his arm; he has scattered the proud in the thoughts of their hearts. He has brought down the powerful from their thrones, and lifted up the lowly; he has filled the hungry with good things, and sent the rich away empty (Luke 1:46-53 NRSV). One of the most striking themes in Mary’s song about the coming of God’s salvation is the emphasis it places on the bringing down of the rich and proud, contrasted with the lifting up of the poor and humble. This theme of eschatological reversal influences the rest of Luke’s gospel. Yes, the personal side of salvation is present (… holy is his name, His mercy is for those who fear him from generation to generation”). Indeed, repentance itself can be understood as a kind of reversal, a turning around in one’s way of life, but the social implications of the Good News being for the poor and marginalized are prominently there too. As we see Jesus heal, teach, and bring about the inauguration of God’s kingdom, Luke wants us to remember the flavor of Mary’s words here. Mary’s words are rich in the language of the Old Testament prophets, indicating just how much Luke sets his narrative within the larger, ongoing biblical narrative of God’s redemptive purposes. Mary herself connects the coming of Jesus with God’s past dealings with Israel, proclaiming in the final lines of her hymn that, “He has helped his servant Israel, in remembrance of his mercy, according to the promise he made to our ancestors, to Abraham and to his descendants forever” (Luke 1:54-55 NRSV). Mary’s song is not the only passage, however, that gives us insight into the countercultural nature of salvation in Luke—there is also the opening sermon of Jesus in the synagogue at Nazareth. The Spirit of the Lord is upon me, because he has anointed me to bring good news to the poor. He has sent me to proclaim release to the captives and recovery of sight to the blind, to let the oppressed go free, to proclaim the year of the Lord’s favor” And he rolled up the scroll, gave it back to the attendant, and sat down. The eyes of all in the synagogue were fixed on him. Then he began to say to them, “Today this scripture has been fulfilled in your hearing” (Luke 4:18-21 NRSV). The spirit of the Lord GOD is upon me, because the LORD has anointed me; he has sent me to bring good news to the oppressed, to bind up the brokenhearted, to proclaim liberty to the captives, and release to the prisoners; to proclaim the year of the LORD’s favor, and the day of vengeance of our God; to comfort all who morn; (Isaiah 61:1-2 NRSV). Luke, then, has represented Jesus’ opening address at Nazareth as an announcement of the final Jubilee, the new era of salvation, the breaking-in of God’s kingdom (p.78). I would suggest that Jesus re-interpreted the Isaiah passage here in order to emphasize that, while His kingdom does have far reaching implications for all spheres of life, it couldn’t be characterized as the vengefully militant political movement that some hoped He would lead. Green gives a number of reasons for attaching so much importance to Jesus’ sermon here. One of them has to do with Luke’s narrative structure. He places this event at the very beginning of Jesus’ public ministry, setting the tone for all that follows. Also, Green comments that this is the only instance in Luke’s narrative where we actually hear the content of Jesus’ synagogue sermons, though there are other instances where we are told that Jesus taught, without knowing what He said. Therefore, he suggests that it’s reasonable to interpret Jesus’ words here as being fairly representative of what Jesus said in the synagogue at other times and places (p.76). Green has been seeking to demonstrate that, for Luke, the salvation brought about by Jesus’ life, death, and resurrection fulfilled Israel’s eschatological anticipations, including the prophetic language regarding the welcoming in of the marginalized and emancipation for those held captive. We can see how this theme of salvation-as-reversal integrates the personal and social aspects of salvation by examining Jesus’ conversation with Zacchaeus the tax collector in Luke 19. The chief characteristic of Zacchaeus is not that he is wealthy but that he is a social outcast who is willing to put his money in the service of the needy through his generosity. Hence, the previously excluded Zacchaeus is restored to the community of Israel as a son of Abraham. In a paradoxical way befitting Luke’s portrayal of salvation-as-status transposition, Jesus’ encounter with Zacchaeus is a proclamation of good news to the poor (p.86). Luke’s gospel paints a portrait that overflows with unexpected grace for unlikely people. Personal repentance, turning round one’s way of life and following Jesus as Lord, is truly important. At the social level, though, the evidence of Zacchaeus’ transformation is the generosity towards the needy that he demonstrates as a grateful response to having been welcomed as an insider by Jesus. Salvation in Luke is a topsy-turvy sort of thing. Luke holds together what the contemporary church has often partitioned into discordant elements: empowering the disadvantaged, seeking the lost, reconciling persons across social lines, calling people to repentance, healing the sick, forgiving sins, initiating people into the community of God’s people. All of these and more are constitutive of salvation in the Third Gospel (p.136). The portrayal Luke gives of the gospel, of the Good News that entails both personal transformation and the subverting of traditional us vs. them categories is inspiring. It is through Jesus Christ that believers enter into this way of life, and it is only by God’s grace that they can faithfully live out this wider than expected vision of salvation. Green’s small book is a hearty reminder of that. Next time, we are going to be finishing out this series on narratives in the Gospels by exploring Craig Koester’s The Word of Life: A Theology of John’s Gospel. It might be my favorite out of these four books, so stay tuned. This entry was posted in Book Reviews and tagged gospels, joel b. green, luke, narrative theology, salvation, theology by joecrow91. Bookmark the permalink.